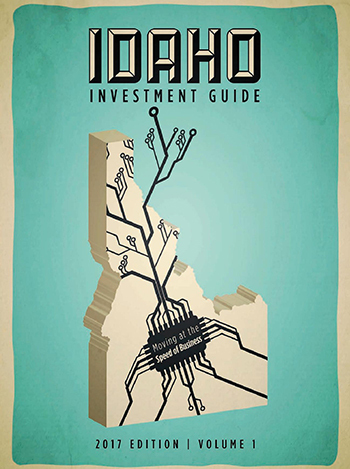 The more you get to know Idaho, the more you appreciate the connection between its historical heritage and its economic fortunes of today and the future. If there is one thread that ties together this fabric of economic connectivity, it is the fiber of the land itself. The roots of Idaho’s economic strength run deep, but most of them are still anchored firmly to the natural resources of timber, agriculture, water and the mountains. Even the newer tech-centered hot spots of Boise and Nampa owe much of their prosperity to the fact that their highly educated workers choose to live there to be close to nature. Legacy industries like J.R. Simplot and Albertsons continue to invest heavily into Idaho’s workforce and the state’s future. Simplot’s JUMP facility in Boise and Albertsons Companies’ headquarters expansion in Boise exemplify this tradition. Simplot, one of the largest privately held food and agribusiness companies in the nation, dates back to 1929 when then 20-year-old J.R. Simplot founded the company near the small farming community of Declo in south central Idaho. Now headquartered in Boise, Simplot recently undertook its biggest investment ever in Idaho with the creation of a new 55-acre park, new corporate headquarters and a unique learning, events and gathering venue called Jack’s Urban Meeting Place — or JUMP. Albertsons, founded by Joe Albertson in 1939 in Boise, today ranks as the second largest supermarket chain in the US with over 2,300 stores. In late September 2016, the company announced that it would relocate pharmacy support and add other corporate office positions to its Boise headquarters, resulting in 300 jobs and $38 million in tax revenue for the state. An Idaho entrepreneurial success story, Albertsons opened its first store at the corner of 16th and State Streets in downtown Boise 77 years ago. The firm is growing today thanks in part to the Idaho Economic Advisory Council approving a Tax Reimbursement Incentive (TRI) award of 30 percent for 15 years. Rec-Tech and Ag-Tech, which both owe their existence to Idaho’s abundant and fertile native land, are two other legacy industries that continue to grow as well. In the ag-tech sector, Priefert Manufacturing announced in October that it would expand its farm, ranch and rodeo equipment manufacturing operation to Boise. Based in Mount Pleasant, Texas, the family-owned company also operates a 1,700-acre working ranch in Texas. The company said that Idaho’s rich history of farming, ranching and cattle production was a big draw. The firm said it would begin operations in Boise with a 20,000-sq.-ft. industrial facility that it plans to use for warehousing and distribution. Meanwhile, Orgill Inc., based in Memphis, Tennessee, said it would place a 500,000-sq.-ft. distribution center in Post Falls, Idaho. The world’s largest independent hardware distributor, Orgill said the plant will enable the firm to serve customers in Idaho, Montana, Oregon, Washington, Alaska, Alberta and British Columbia. Orgill expects the facility to be fully operational by March 31, 2017. Upon completion, the plant is expected to employ more than 100 Idahoans.